Dr. Lisa Ipp explains why college students aren't getting flu shots and what health care officials can do to reverse this trend. 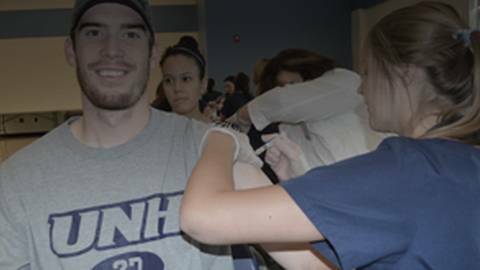 Although most college students in the U.S. believe it is important to get an annual influenza vaccine, less than half say they typically get vaccinated, according to results from a new National Foundation for Infectious Diseases (NFID) survey. Motivating college students to get their annual flu vaccinations remains a public health challenge that many health care officials have struggled to overcome. Host Dr. Jennifer Caudle chats with Dr. Lisa Ipp about the results and takeaways from this survey and what methods and strategies would be the most effective in encouraging more students to get vaccinated.